CLICK HERE TO READ OUR TRAVELLING JOURNAL! Besides this, because we’re frequent travellers, we know where to get the best hotels deals, flights deals, and also local car rental deals, regardless of where you are planning to visit. We’ve affiliated with a highly reputable hotel deals network and have incorporated their database into our system to provide you with only the best deals ever existed on earth. 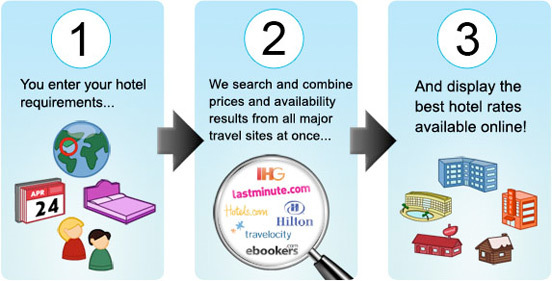 Our HOTEL SEARCH ENGINE Corner! Our database consists of 260,000 hotels from 220 countries. Our affiliated hotel network interacts in 26 different languages, and they are willing to do business with us in over 120 different currencies! Our FLIGHTS SEARCH ENGINE Corner! Our LOCAL CAR RENTAL AGENT SEARCH ENGINE Corner! Our flights and car rental deals are derived from a database of over 800 airlines that operate around the globe, as well as 800 local car rental agents that operate at 30,000 locations in 174 countries. There isn’t an inch uncovered within this database! Lastly, we hope you’ve made good use of this website to plan the best valued trip out of your budget. Thank you again for visiting us, and happy holidays!